It's been an interesting week in West Lafayette, Indiana, after Purdue fired its head coach Darrell Hazell. The Boilermakers have a new interim head coach and plenty of unknowns as the team prepares to face the Nebraska Huskers in Lincoln. With so much going on, what is the Purdue media talking about this week? 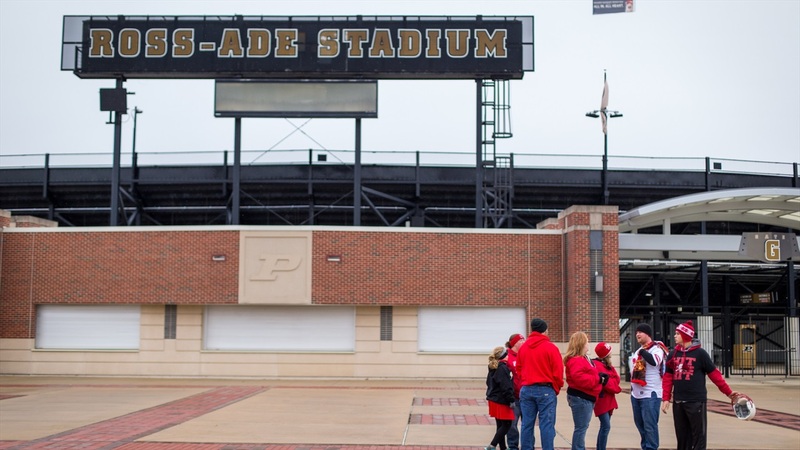 We've compiled a list of the best links from the opposing view to shine a light on what's being said in West Lafayette. >> Gerad Parker is Purdue's new interim head coach. As he prepares to face Nebraska, he's also remembering his roots. >> Get to know defensive end Evan Panfil. What would he eat in an all you can eat contest? Chicken wings. >> Keep an eye on the Purdue tight ends. >> Podcast person? Hammer & Rails' latest talks about the coaching search, basketball and more. >> If you'd like to see a game preview from the other side of things, the fine folks over at Hammer & Rails have you covered. >> Parker's first press conference? You can read a bit from it here. >> What does Purdue football need? It seems like a simple enough answer. >> Purdue quarterback David Blough passes the ball quite a bit, but his efficiency might not be there just yet. >> Who is Gerad Parker? Here's a little bit about him.